Is it just me or is everyone having issues with doctors? Getting an appointment at the time which suits me is very hard and when I finally get to see a doctor, it’s so difficult to get tested for anything! Doctors don’t really send you for any tests unless if it’s absolutely necessary and you have some serious symptoms. It’s no wonder that people consider private healthcare options and are prepared to pay for tests themselves – it’s much easier and quicker that way! Recently I was contacted by a private healthcare provider, called The Online Surgery – I was given £50 to spend on their website in exchange for an honest review. 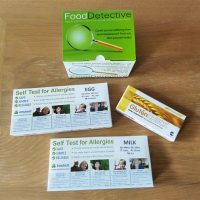 I decided to go for one of their diagnostic test kits although I would find GP consultation quite useful as well (good for the second opinion). 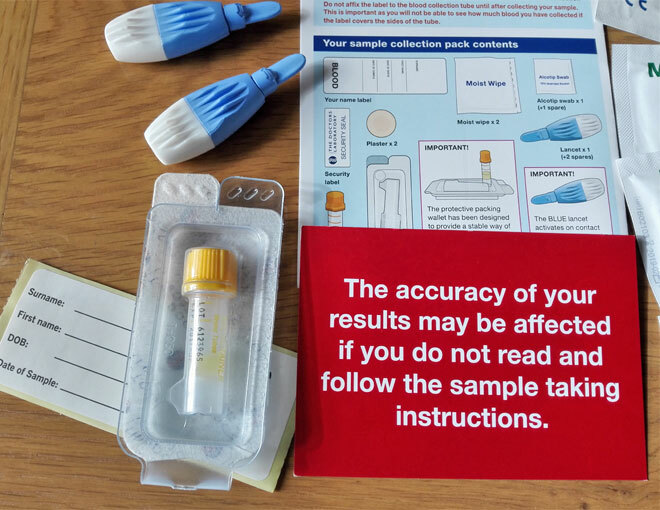 Their self-test kits can be used to determine a wide range of illnesses and disorders and are great if you struggle to get tested through NHS. My test kit arrived very quickly after I ordered it online. When I took everything out of the box it all looked quite daunting actually. 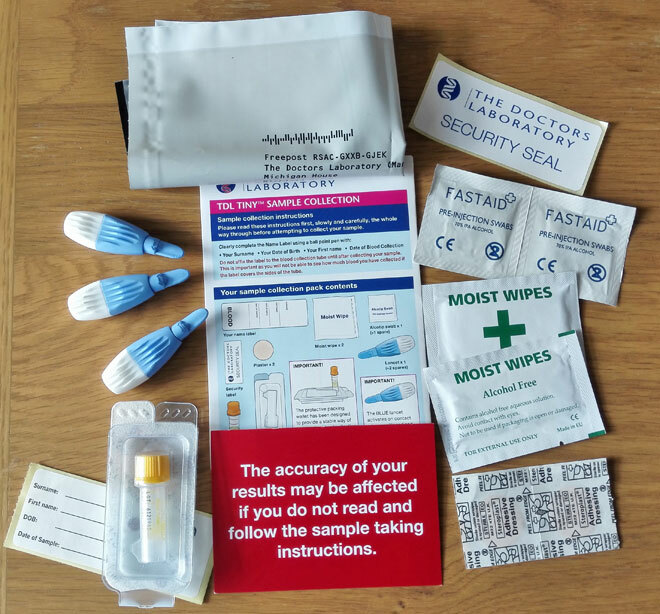 Blue lancets, blood collection tube, moist wipes and all the instructions… This is not going to be easy, I thought straight away. Luckily I was already familiar with lancets and how they work as I’ve done vitamin D test at home previously but I wasn’t sure how I was going to collect so much blood from my finger when looking at the blood collection tube (it looked pretty big!). I spent some time reading instructions and studying everything. I didn’t want to get it wrong because that would mean that my results wouldn’t be accurate. I later learnt that there is a video on YouTube with instructions on how to use the test kit in a correct way, but it’s a shame I was made aware of it (by their customer care staff) after I’ve already done my test. It’s actually easier to watch the video but also, the video is more accurate and up-to-date I believe. I found some written instructions were not matching with what was advised in the video. 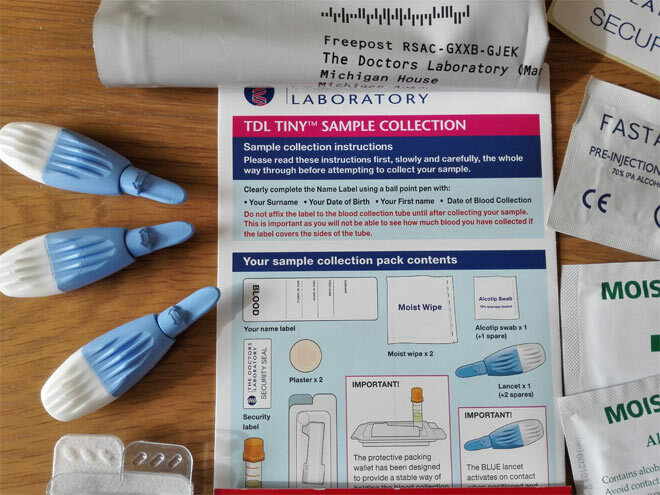 For example, in the video, they recommend to prick either your 3rd or 4th finger but the written instructions are saying that the best location for collecting finger prick samples are from the side of your little finger. I think the best is to go with the video really. I had to prick my finger twice in order to get enough blood out of it but luckily you have enough lancets for that, also if you need to do it three times. Just to keep in mind that you should use another finger for pricking if you have to do it twice. And it helps if you have warm hands before you do it – warm them up in warm water beforehand. It took me a bit of time but I managed to do everything correctly at the end. Now, if you plan to do any tests like that you are lucky because you have my advice here! I sent off my test in a provided self-addressed mailer and I received my test results 2 days later via email. Wow, this was really fast, I was surprised at the speed! When I have my blood tests done through NHS I have to wait for a week so I was really happy to see my results within a few days. I had some questions about my results which were referred to one of the GPs and I was given a prompt response. Their service is really fast and I was satisfied with overall experience. For this reason, I am happy to recommend The Online Surgery to anybody who is looking for some tests and advice outside of NHS. After this test, I saw my NHS GP in person and after showing him the results and him checking my past results he diagnosed me with Gilbert’s Syndrome. Apparently nothing serious and nothing to worry about but I am not convinced so I need to do more research about it. Have you ever done a home blood test before and how did it go?